Showcasing volcano eruptions caught on camera from around the world. Volcanic eruption in Russia – like a scene from Lord of the Rings!!! 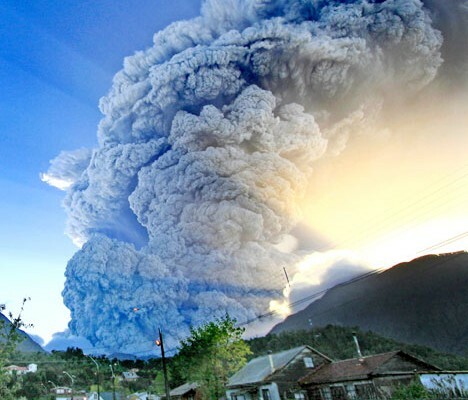 Eruption at Puyehue-Cordón Caulle Volcano in central Chile in 2011.
ya, the pic with the car driving towards the pyroclastic flow…? im pretty sure its MT Pinatubo in the Phillipines, and if i remember correctly from a documentary i saw on the eruption, the guy is, as someone said, no longer with us.